Motivate colleagues with EasyReward - Make all hard work recognised! Home About Easywork Motivate Colleagues with EasyReward, Now All Your Hard Work Is Recognized! Over the last decade, many documents have become digitalised and simplified. 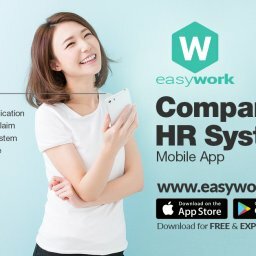 The latest EasyWork is a mobile app that can make your work easier and more efficiency while getting rid of the traditional way of document/paper submission. Encouraging paperless concept, every single document can be submitted and recorded within a few taps on the mobile. Other powerful functions include leave application, financial claims and many more (read on to find out!). How can you increase work efficiency of your team members? Buying him/her a cup of coffee is no longer in trend, and can cost too much. But what if you have a reward system with redeemable points? And this is why EasyWork provides a reward system solution, namely EasyReward. How can you make full use of EasyReward? Companies can set the points and rewards can be given on a monthly basis. For example, companies can have a reward store list, which include all the redeemable items, such as speakers, power banks, movie tickets or even iPhones. The reward system is applicable to colleagues-colleagues too! To spice up the working environment, employees can reward their colleagues for helping them out, or simply reward them as a way to recognize their hard work. At the receiving end, the person would be so touched to receive the points and recognition from another colleague. It’s a completely win-win situation. During the big sale period, bosses can motivate its teams to achieve their sales goals using EasyReward. 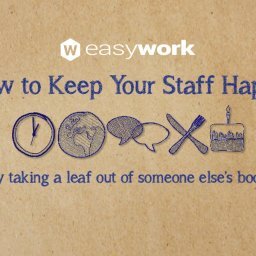 With EasyWork, you can now reward your employees systematically on an ongoing basis, instead of thinking what and how to reward them all the time. In the current market, reward system is chargeable, However, in EasyWork, this system is totally FREE of charge. Please Download & “Register” yourself as user to gain more benefits. Search Easywork in the store.